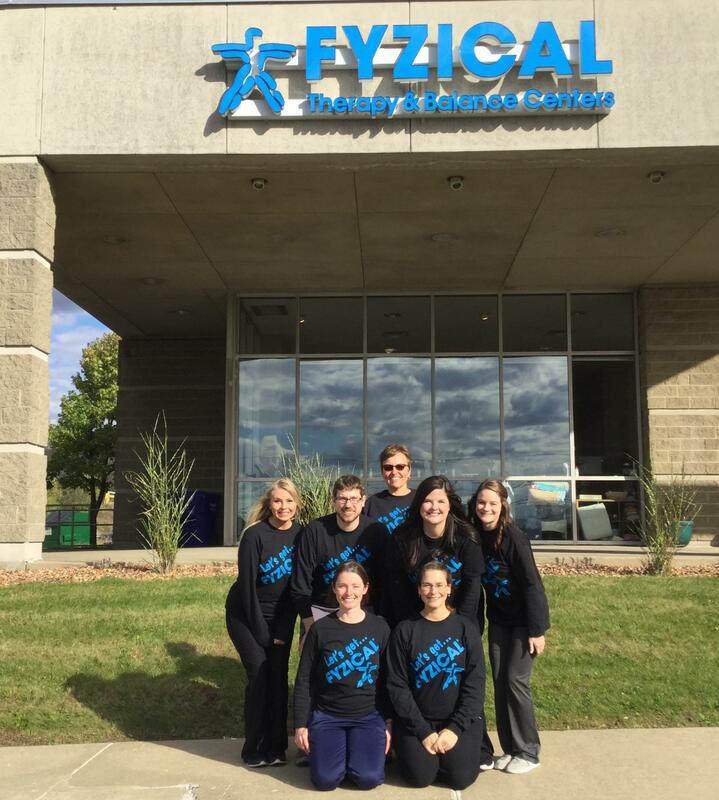 FYZICAL Therapy & Balance Centers of Butler is a medically based Physical Therapy and Integrative Health Center. We practice "Hands-On" care with each and every client while providing one-on-one, client specific treatment. Our clients consistently state that they "have never received physical therapy like this before" due to the personalized attention that we deliver. It is our goal to bridge the physical therapy, medical, and complimentary care world in a fashion that allows each and every individual to move from pain to wellness and to continue a healthy lifestyle for years to come. Through our slogan: "Healing Touch, Quality Time, Compassionate Care! Let Us help You Move from Pain to Wellness." We are inviting individuals to choose Fyzical Therapy & Balance Centers - Butler to begin their journey towards being well and then learn how to put their health back into their own hands! Fyzical Therapy & Balance Centers - Butler is dedicated to being the leader of medically based, hands-on physical therapy that focuses on the diagnosis, treatment and self management of each individual with the primary goal being to empower each client to live in an enhanced state of health and wellness. Fyzical Therapy & Balance Centers - Butler will be recognized as the physical therapy practice of choice by the consumer, community, medical profession and major payers in providing education, prevention, treatment and wellness services to enhance the overall health of individuals and deter the onset of more costly disease. Our practice has a staff comprised of four Doctors of Physical Therapy and four Physical Therapist Assistants, along with support staff to help you to reach your goals. Our practice is dedicated to treating each client’s symptoms and then creating a personalized plan for wellness. Our practice is conveniently located, has ease of access and accepts Medicare, third party, workman’s compensation and auto accident claims. Our practice has developed numerous programs to enhance the health and well being of our clients. These programs have been developed to reduce the symptoms of both acute and chronic origins, with the goal of beginning treatment to reduce pain and then create an individualized plan for wellness to deter more costly disease. These programs include Cervico-Thoracic, Lumbo -Sacral, Fibromyalgia, Balance/Falls, Headaches and Posture. In addition to these programs we have had great success at helping our clients reach their goals in regards to Joint Pain, TMJ, Strains/Sprains, Chronic Pain, Osteoarthritis, Rheumatoid Arthritis, Auto accident injuries, Workman’s Compensation and Athletic Injuries. Our clients often state that our facility is like no other and that they truly feel like they are treated like an individual while receiving our care. Click here to read what our clients are saying!